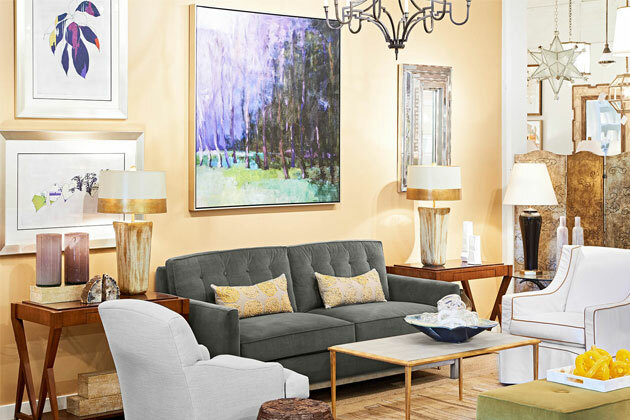 A “To the Trade” showroom sells to interior designers and architects. It is the designer or architects’ responsibility for ordering, delivering and collecting payment on merchandise purchased from a ‘trade only’ showroom. 1. How long can an item be out on approval? We offer a 3-day approval to the trade. 2. How long can an item be on reserve? We offer a 3-day reserve to the trade. 3. What are your payment terms for off the floor sales? Invoice is due upon receipt. 4. How do special orders work? 50% deposit is required to process special orders. The balance plus shipping is due when the order ships. All orders are custom orders; therefore, no cancellations or refunds are possible once manufacturing has commenced. Darnell & Company is not responsible for any damage incurred during shipment. Prices are subject to change without notice. 5. Do you accept credit cards? Yes, however there is a 3% processing fee. 6. What type of credentials do you require? Please click the link below for the forms we must have on file to process your order. Please submit special orders in writing using the Product Order Form PDF and include ship to address, sidemark and any special instructions. We do not take verbal orders. All orders must all be in writing. Trade References – a total of five is required, with a minimum of three being fabric sources – printed on your company’s letterhead.